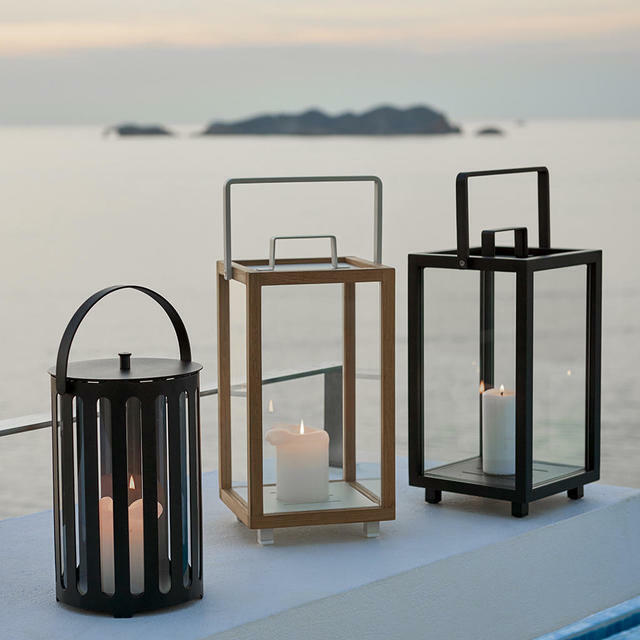 Soft and modern lanterns that are perfect for patios or poolsides. 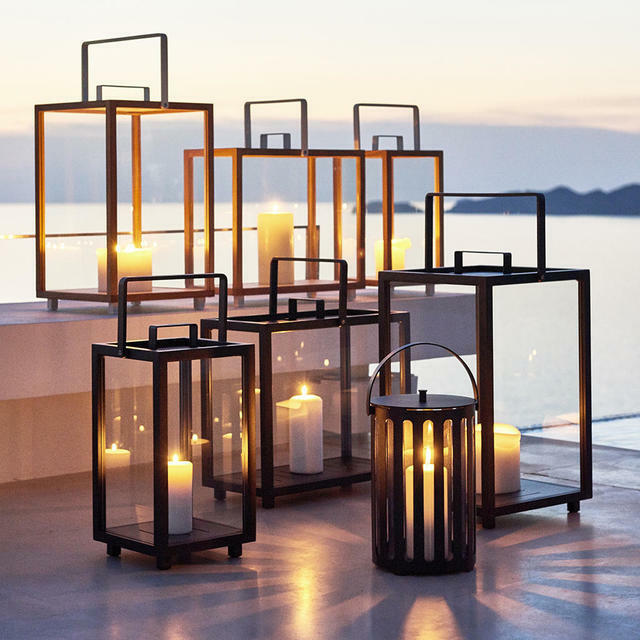 These Lighttube Lanterns make a statement by themselves. The round form gives a soft and cosy look, and the slatted design adds a modern twist. 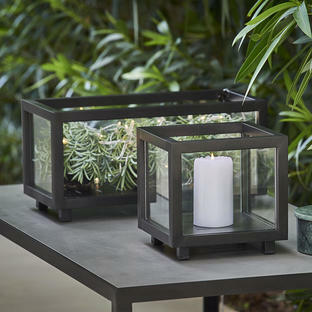 Perfect for urban gardens and sleek balconies, or poolsides. 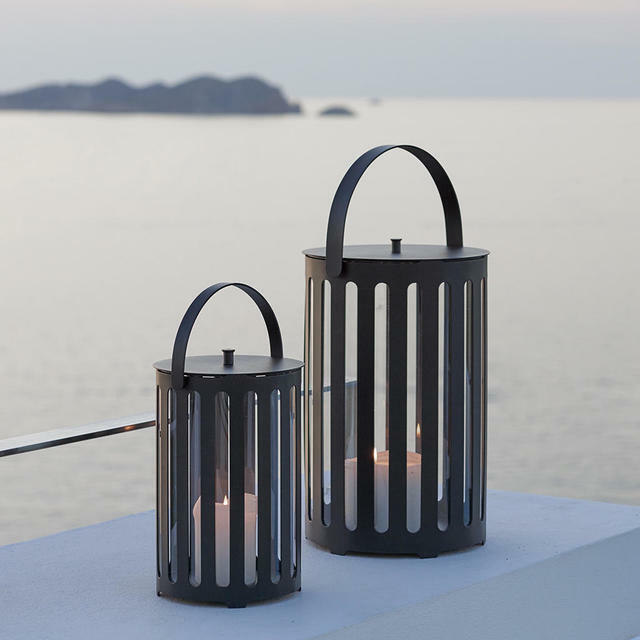 The lantern is made from all-weather, Lava Grey powder-coated aluminium, and can be used both indoors and outdoors, all year round. Polycarbonate glass and heat resistant barkalit handle mean higher comfort. The Lighttube Outdoor lanterns are available in two sizes. 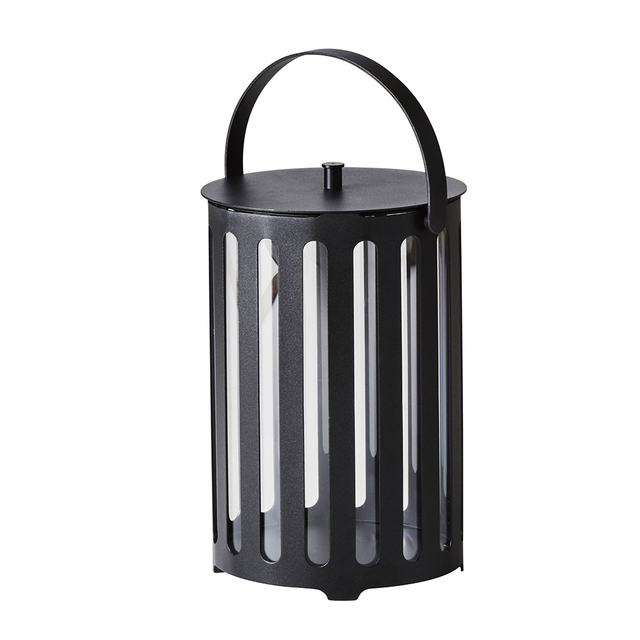 These lanterns are perfect in your garden or patio on warm summer evenings, or take influence from the Scandinavians and keep a candle lit by your front door, to welcome visitors on chill winter evenings. 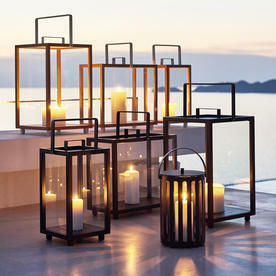 For candles see our collection. 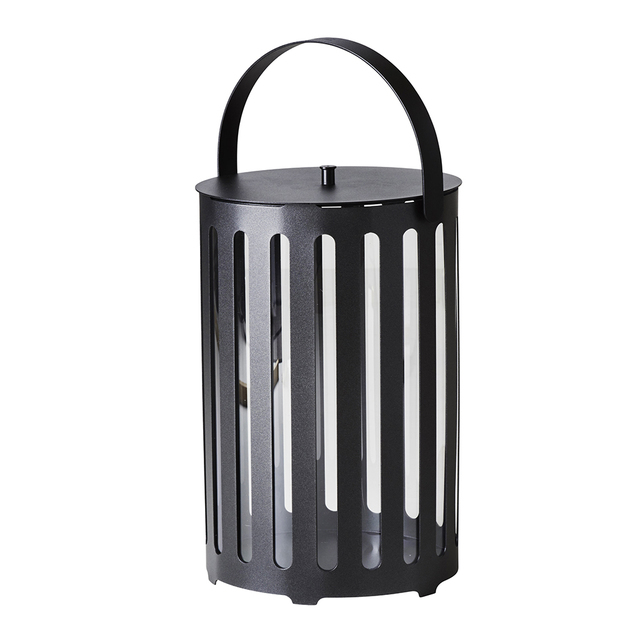 The lantern is made from Cane-line Powder Coated Aluminium in dark lava grey.